New research by Afrobarometer, a project that measures public attitudes in Sub Saharan Africa, suggests that most Africans support two-term presidential term limits for their presidents. This is true even in those countries that have never had term limits and those that have removed them in the past 15 years. Continuing efforts to dispense with term limits thus reveal a major disconnect between African leaders and African citizens on this issue, underlining the lingering legacy of big-man rule on the continent and highlighting the fragility of African democracies. At the end of the 20th century, many African countries adopted presidential term limits aspart (sic) of a broader set of constitutional rules that accompanied the transition from personal and authoritarian rule to pluralistic modes of governance. While term limits were widely embraced by the larger African public, these rules have in recent years come under increasing attack from incumbent presidents seeking to extend their tenures. In the first six months of 2015 alone, the presidents of Burundi, Benin, the Democratic Republic of Congo, and Rwanda have either personally or through their supporters expressed the intention to dispense with or circumvent term limits in order to seek additional terms of office. Early in 2008, thirty-three of sub-Saharan Africa’s forty-eight countries had constitutions that contained term limit provisions. Some African leaders have willingly turned over power in compliance with these constitutional requirements. They include recent, former leaders of Botswana, Benin, Cape Verde, Mali, Mozambique, Säo Tomé e Principe and Tanzania. Nelson Mandela in South Africa stepped down after one term. Jerry Rawlings of Ghana and Daniel arap Moi of Kenya complied with constitutional term limits under duress. Several African leaders tried but failed to change the term limit provision of their constitution so that they could run again. Zambia’s Frederick Chiluba, Malawi’s Bakili Muluzi and Nigeria’s Olusegun Obasanjo ultimately bowed to the will of the political system and accepted term limits. Other African incumbents managed to change the constitution so that they could have at least one additional term. Current or recent leaders in Burkina Faso, Chad, Gabon, Guinea, Namibia, Togo, Uganda and Algeria are among those who successfully changed term limit requirements in order to prolong their time in office. In 2008, Cameroon’s parliament eliminated the two-term (seven years per term) limit for Paul Biya. I served at the U.S. embassy in Yaounde when Biya first became president in 1982. He will be able to run again in 2011 after twenty-eight years as president. The president of Niger is currently trying to change the constitution so that he can run for a third term. In total, 18 African countries do not have presidential term limits. Sudan presents a unique case; although President Bashir has been in power since 1989, his reelection earlier this year—when he carried 94 percent of the vote—is technically only his second term in office, following the secession of South Sudan in 2011 after a national referendum. During the Economic Community Of West African States (ECOWAS) meeting last month in Accra, Ghana, West African leaders dropped the idea of instituting a two-term limit on the presidency across the region, after The Gambia and Togo, the only member states without term limits, opposed the move. Internet users in West Africa were widely critical of the decision. 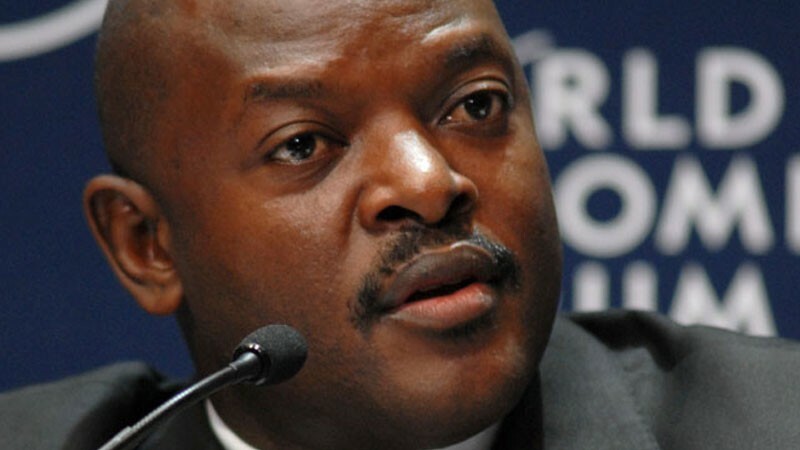 A conflict in Burundi continues today, sparked by President Pierre Nkurunziza‘s bid for a third term. Riots have spread throughout the country in protest. The UN Secretary General Ban Kimoon has even called on Ugandan President Museveni to intervene. At an impromptu East African Community (EAC) meeting, former army general Godefroid Niyombare (who'd been suspended just a few months earlier) staged a coup in an attempt to oust Nkurunziza. The events in Burundi and in other countries such as the Democratic Republic of Congo, Burkina Faso, and Rwanda have sustained a growing debate among Africans about term limits. 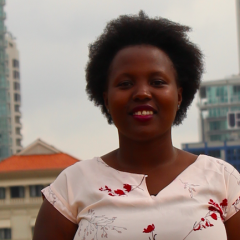 The first President of Uganda, Dr. Milton Obote, was ousted in a manner similar to Niyombare's attempt, while delivering a speech at a Commonwealth meeting in Singapore in 1971. Then why has the 2-term limit been so successful in the United States? And why is Africa such a dismal failure? What else do you expect from HH [Haikainde Hichilema] 6 elections, Nawakwi 6, Nevers Mumba 2, please leave space for others you have suffered electoral nightmare and its enough. I do not understand this fixation of a term limit for an elected office.if the people opt for continuity why deny them their choice. But Rwandese want him to stay on to ensure stability and development of a very fragile country Rwanda is 21 years after genocide. So if Rwandese requests him to lead them for more than two term limits, isn't that democracy?